We're now just 5 days away from the UFA interview period, and speculation continues to surface around the league. Here's Part II of the rumoured contenders for the top pending UFAs. Check out Part I if you missed it. 60/40 odds he makes it to July 1st. The Kings are taking one final crack at re-signing Lucic, who would be highly sought after in free agency. The Oilers and Canucks have interest. 70/30. Sounds like the Bruins will try to move Eriksson's negotiating rights if they can't work out a deal in the next couple of days. The list of teams interested will be long: St. Louis, Minnesota, Detroit, San Jose, Florida, Vancouver and New Jersey are potential landing spots. 90/10. As a 22 year old college graduate, Vesey is Predators property until August 15th, but he's indicated his desire to explore the free agent market. 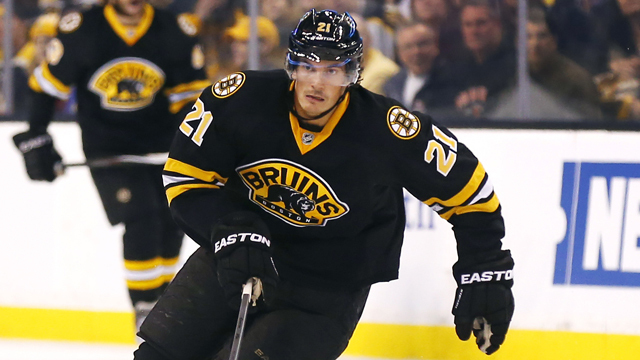 The Bruins, Leafs, Penguins and Sabres are rumoured possibilities. UPDATE: The Sabres have acquired the negotiating rights to Vesey. 50/50. Campbell and the Panthers would still like to get a deal done, but if not, the Bruins, Avs and Blackhawks are rumoured possibilities. Check out Part I of the rumoured contenders for the top pending UFAs.